Once again an important issue for the European Union is about to be decided through the prism of Franco-German relations. They were never simple, but in recent months the meetings (sometimes held, sometimes canceled) between Nicolas Sarkozy and Angela Merkel, served as thermometer of the Union. 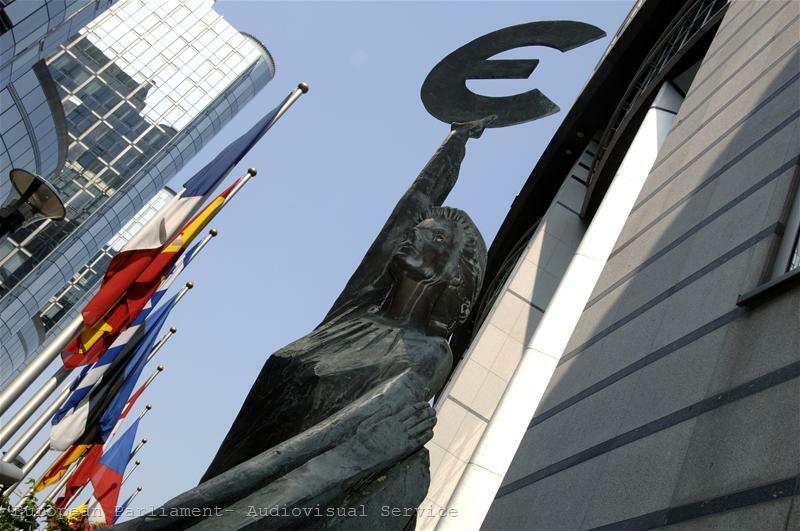 One of the most controversial issues was whether the euro area should be "separated" from the other EU Member States with an economic governance of its own. This was a French idea and media suggested that the European Council President Herman van Rompuy was a favourite to preside over this more or less institutionalised governance. Van Rompuy himself currently heads the Task-force that is developing the principles of EU's economic governance, which clearly shows an intention for a differentiation between the euro area and the rest of the Member States. Until two days ago, Germany was the main proponent of the view that the Union should not be divided into a euro area and the others. France, for its part, has not supported the German idea political sanctions to be imposed on countries that violate the Stability and Growth Pact, consisting of deprivation of voting rights in the Council of Ministers. But it happened so that Germany's Finance Minister Wolfgang Schäuble took part (for the first time in the history of the relations between the two countries) in a meeting of the French government. 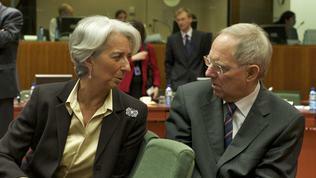 Several months earlier a similar precedent was created by his counterpart Christine Lagarde, who attended for the first time a meeting of the German cabinet. Hereby both countries issued a common proposal to EU President Van Rompuy for tougher and more effective sanctions in the framework of the Stability Pact. In the very first sentence of their joint letter they make it clear that the ultimate objective is the maintenance of "the stability, unity and integrity of the eurozone”. Both sides express their intention to make "specific, detailed proposals that translate our commitment into credible, effective changes as to how we manage our economic policies together”, more over avoiding changes in the Treaty of Lisbon. Because "a single currency simply cannot work properly without enhanced economic policy coordination”. With regard to financial sanctions, France and Germany support the idea (proposed by the EC) an interest bearing deposit to be temporarily imposed on euro area members, which don’t indicate sufficient progress in their budgetary consolidation. And the use of EU funds (more likely their suspension) as financial sanctions against all member countries. But "the sanctions should be proportionate to the extent of non compliance with the provisions of the SGP. They should relate to cohesion policy (structural and regional funds).” There is a substantial difference to the Commission's proposal, which includes also subsidies for farmers and fishermen. The key proposal in the letter, however, is for the imposition of political sanctions on countries that substantially or repeatedly fail to comply with their commitments. However, this will happen (eventually) for the euro area countries which, by signing a political accord will be able “either to ban an offending Member State as described above from taking part in specific votes or even specific deliberations, or to make a political commitment to neutralise the effect of that Member’s vote.” The Franco-German letter states that the legal basis for this should be carefully examined and “this mechanism would have to be included in any revision of the Treaty that may in future be agreed to”. Although the need for stronger coordination and more severe penalties in the Union is obvious, from a moral standpoint there is a great deal of hypocrisy in the Franco-German campaign against violators. As the President of the European Central Bank Jean-Claude Trichet noted, both countries paved the way for the debt crisis in Europe, breaking the Stability Pact as early as 2004, thus giving a bad example, and allowing the allocation of budgetary discipline. Now, however, the price of this compromise proved to be too high. And a new one is coming - the euro area to turn on to a "special regime” in order the common currency to be saved. 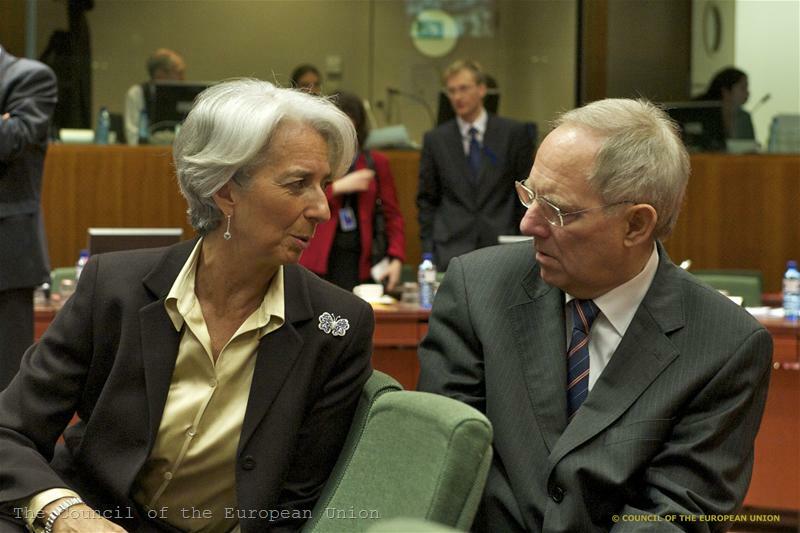 At a briefing after his meeting with Lagarde, Wolfgang Schäuble did not exclude "enhanced collaboration" among eurozone countries, EurActiv wrote. Under the Lisbon Treaty, at least 9 countries can establish enhanced collaboration in a particular area and the others may not join or do it later. "If we need additional rules for the sixteen [eurozone countries], the other countries will not prevent us", Schäuble said. The bigger problem is that they are not even trying. So far only Poland has openly stated its opposition to the division of Europe to a euro area and the rest. 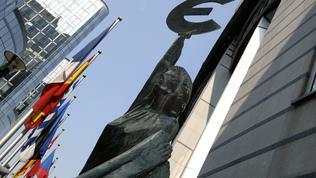 euinside has repeatedly expressed its surprise from the lack of a loudly and firmly declared Bulgarian position. Differences in competitiveness have proved to be a key problem of the euro area and the lack of a common economic policy was reported as a mistake. Now this mistake appears to be repeated again, but at a EU-27 level. If the euro area would focus on its own problems and would isolate itself, the difference between these 16 countries (from 2011-17) and the other 10 can soon turn into a gap. How irreversible this trend is, it will become clear at the autumn European Council, where decisions for the economic governance of the Union are expected to be supported by EU leaders, in order to be applied from next year.